Timulla sp. (Velvet Ant) ♂. 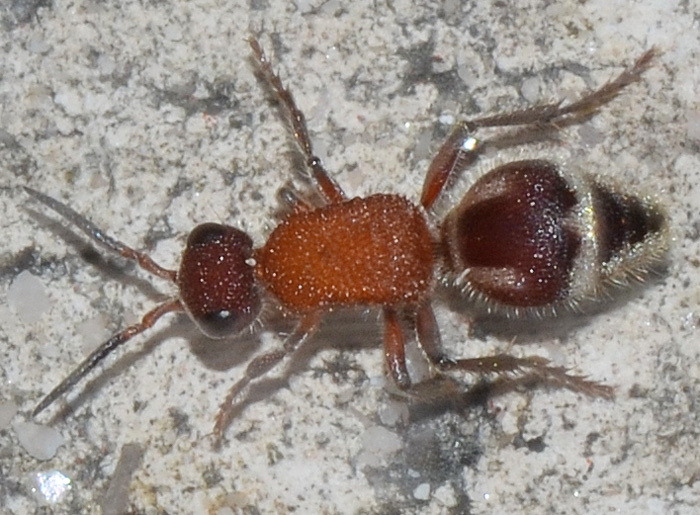 I would have never guessed it but this is a velvet ant (Mutillidae) which is a large family of wasps. 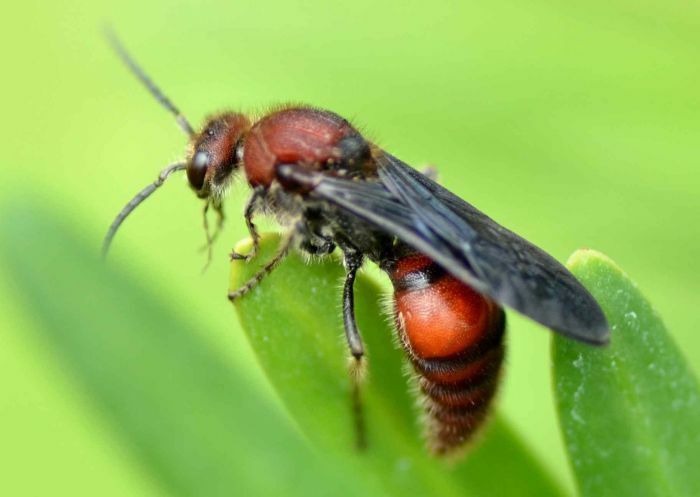 Females have no wings and are more hairy than their larger male counterparts. This one belongs to the genus Timulla. A Floridian velvet ant. The male in the entry above could possibly be in the same species.